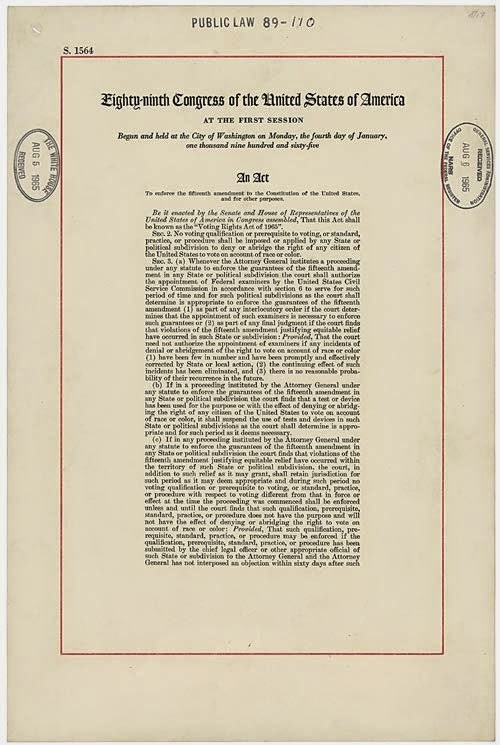 On 6 August 1965, President Lyndon B. Johnson signed the Voting Rights Act of 1965 into law. Watch President Johnson's "The American Promise" speech, delivered to Congress on 15 March 1965, days after violence in Alabama against peaceful civil rights advocates marching to dramatize the desire to vote and the need for voting rights, asking the Congress to enact a voting rights law. With Rev. 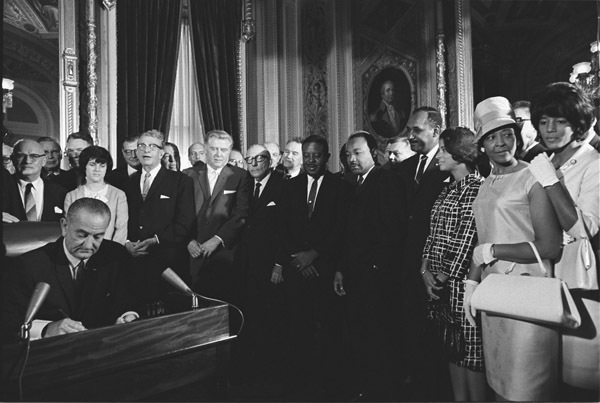 Dr. Martin Luther King, Jr., looking on (right), President Lyndon B. Johnson signs the Voting Rights Act of 1965 in the President's Room at the United States Capital. Photo: Yoichi Okamoto. Source: LBJ Presidential Library.